When I received an email by Homespun, I thought it was just another spam mail and I almost targeted in the spambox with the rest of the 100 spammails. 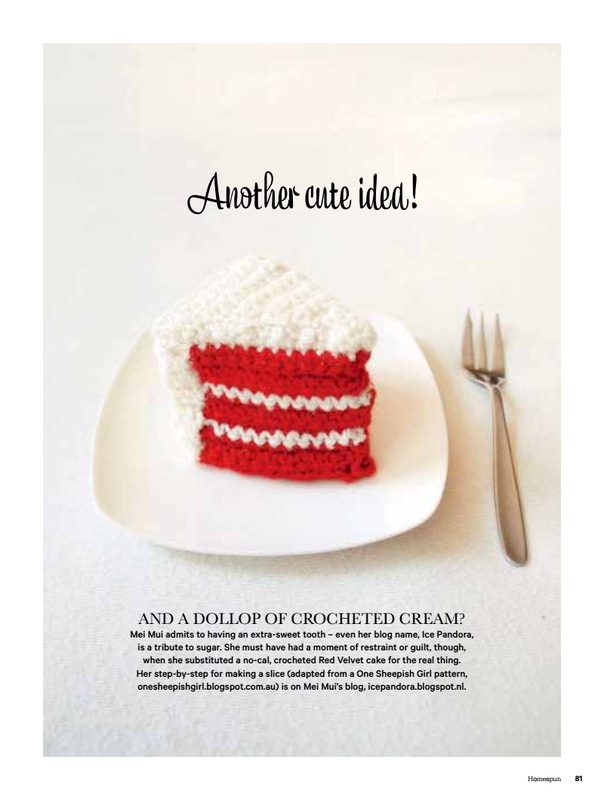 I’m so glad I didn’t because Homespun featured my crocheted ‘red velvet cake’ as ‘Another Cute Idea’ in their magazine! 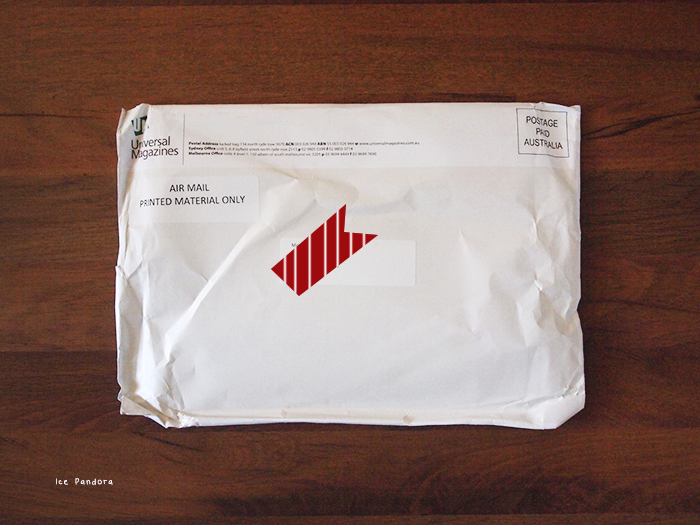 And this fell on the doormat today! 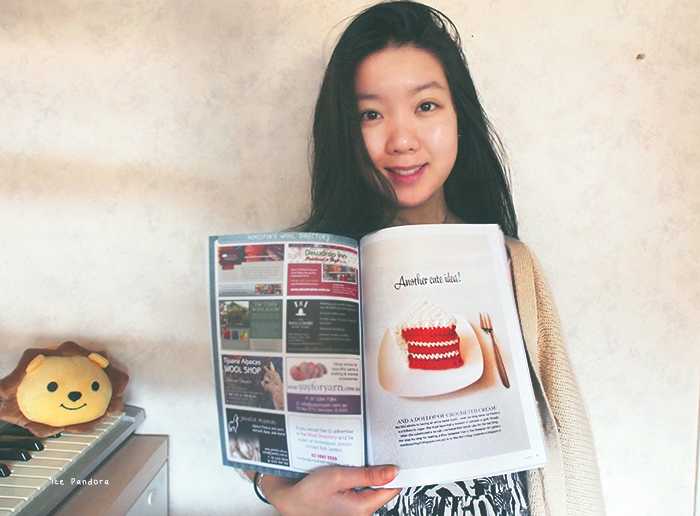 By the way, Homespun magazine contains really lovely DIY’s, interviews and inspirations in nice pictures! Toen ik een emailtje ontvangen heb van Homespun dacht ik dat het weer de zoveelste spammail was. Ik had het dan ook biiijna in de spambox gedaan maar gelukkig heb ik het niet gedaan want Homespun heeft mijn gehaakte ‘red velvet cake’ als ‘Another Cute Idea’ gefeatured in hun tijdschrift! En deze viel vandaag in de brievenbus! 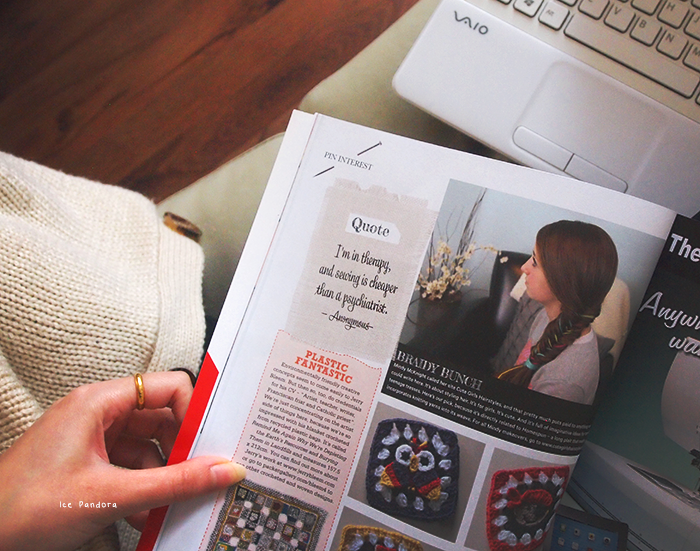 Homespun tijdschrift bevat trouwens leuke DIY’s, interviews en inspirerende foto’s! Ik wou dat er een Nederlandse versie was. Congrats on the article! those little things you made were so cute! 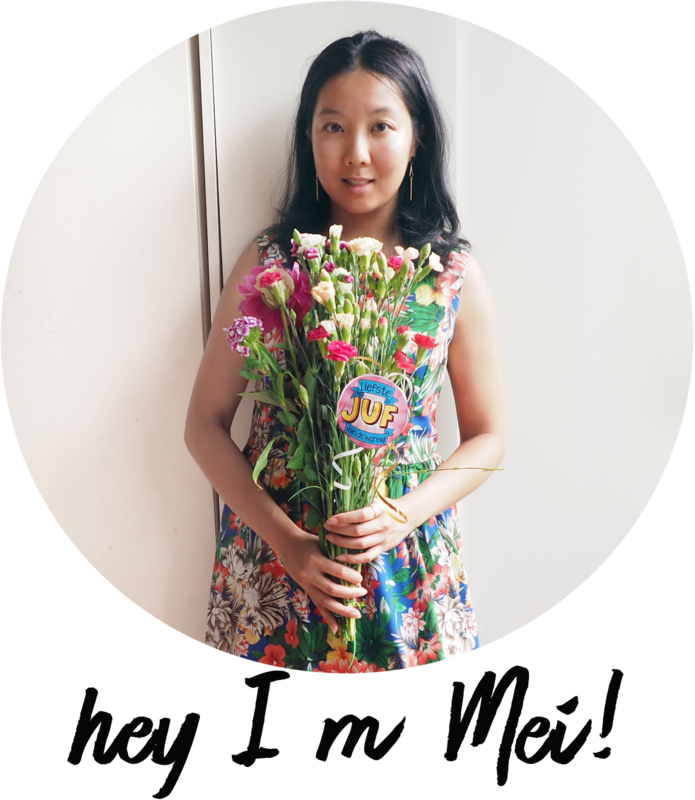 Well done for the feature, Mei ^_^ Of course you deserve to be chosen! The first of many, hopefully! Oh My God!!!!! I am so so excited and happy for you!!!! Congratulations!!!!! Your red velvet crochet cake is a cutie! 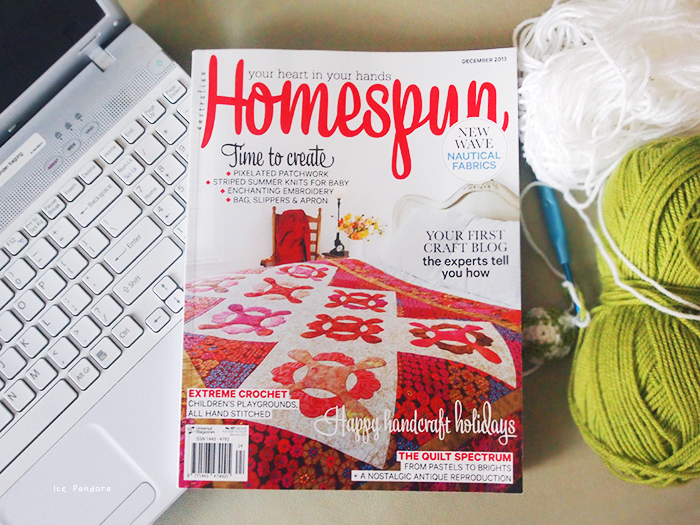 :) Homespun has a great eye. sometimes i wonder how does one achieve this kind of path from blogging haha.. maybe i should post really really often to give my photographs the exposure like this haha but..who knows...not that my pictures are always constantly cool. holy moly! 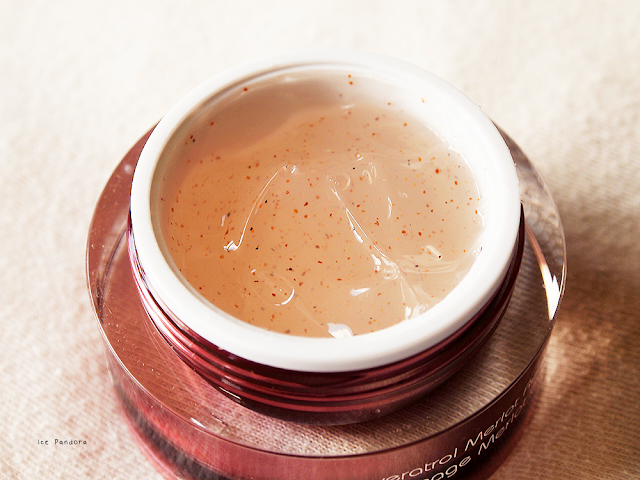 that is wonderful! congratulations! Congrats! That's so cool to be featured!